We support employees’ well-being both in and out of the office with an extensive benefits package that features comprehensive insurance, financial planning support and excellent perks. Discover invests in the communities our employees call home with community outreach projects, company volunteer events and employee-donation matching. 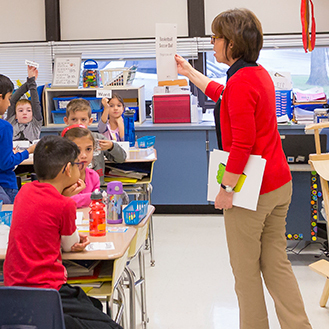 We give back in our community by supporting the education of current and future generations. Discover works with high school internship programs, after-school programs and on school-beautification projects to help provide safe and engaging learning environments for students. Worked on a beautification project at the Lake County Boys & Girls Club location. Painted the Logan Square Boys & Girls Club to give it a fresh, updated look. 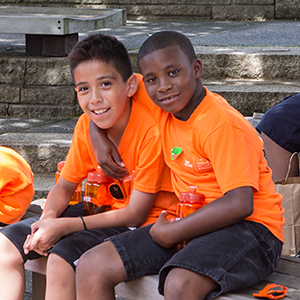 Sponsored Camp Discover for the Lake County Boys & Girls Clubs, an educational program that was designed and facilitated by the Chicago Botanic Garden. 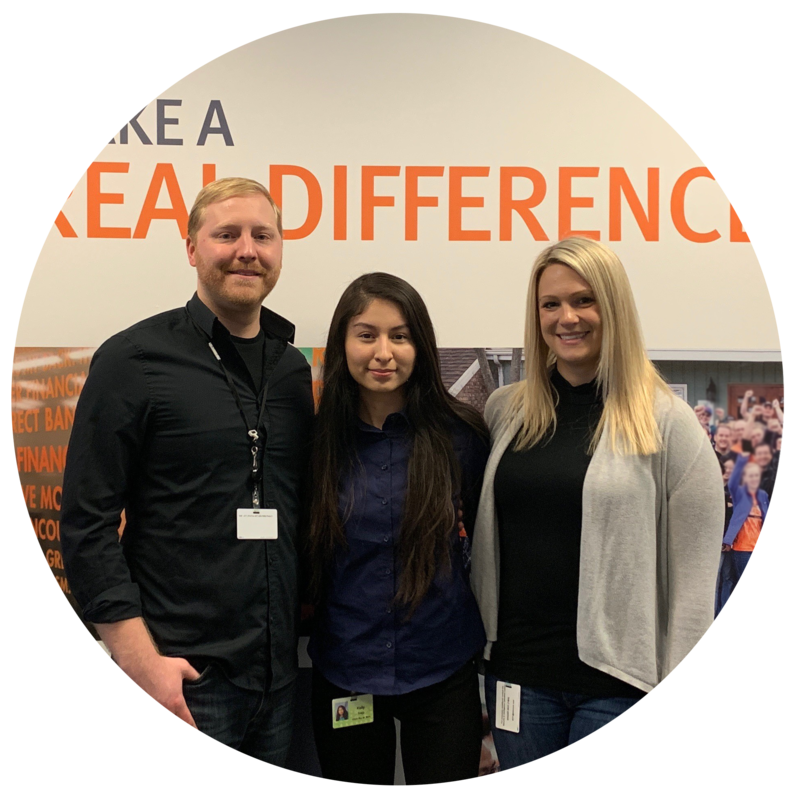 Discover proudly partners with Big Brothers Big Sisters, to match our employees with local students to offer professional, one-on-one mentorships. Each student in the program was matched with a mentor from the Riverwoods office during the 2016–2017 school year and 2017–2018 school year. 14,000 food bags for students in Illinois, providing food for the weekend to more than 700 local students. Backpacks full of school supplies for more than 5,000 students across the United States. The Cristo Rey Network is a national network of high schools with an innovative and revolutionary financial model – all of the students work five days per month. Through this program students intern in a variety of departments within Discover, not only gaining job experience but also realizing the relevance of classroom learning. Over ninety percent of Cristo Rey students are being accepted into college. The local community is benefitting from increasing college enrollment and the Corporate Work Study Program is helping Discover address workforce supply challenges; developing minority candidates with the social and technical skills to perform the jobs of the future. Discover is guided by principles that make lives better for employees, customers and our communities. To help people spend smarter, manage debt better and save more so they achieve a brighter financial future. All employees bring unique perspectives, ideas, and background to our company. Our commitment to inclusivity is a driving force in our innovation, growth and success. Since 2016, this program has helped grow and accelerate the careers of our top female talent through career events, program sponsorship and other initiatives. Employee Resource Groups (ERGs) assist with career development, provide mentorship programs and foster an inclusive community across all our locations. ADA strives to make Discover a more inclusive and attractive choice as an employer for people with disabilities or who are caretakers for someone with a disability. Open to all employees, APAD strives to develop the Asian American employees at Discover and to share the rich variety of Asian cultures with non-Asian employees through Lunch n Learns, keynote speakers and cultural events both inside and outside of Discover. BOLD’s mission is to provide a support network for employees at Discover. We strive to foster an inclusive environment that promotes growth, leadership and talent development. Our aspiration is to apply the unique experiences and perspectives we have to initiatives that create value for Discover. GOLD comprises of experienced employees at Discover and seeks to create and promote opportunities to positively impact their employees, customers and the community by sharing their unique experience, knowledge and talent. HMV was formed to bring together employees who have served in the Armed Forces, who have loved ones in the military and who want to pay tribute to veterans. The group seeks to help veterans in the community be potential employees, customers and merchants of Discover. HOLA’s mission is to be at the center of the community by sharing insights that can help Discover achieve the full potential of its Latino employees, partners and customers. HOLA creates and develops the leaders of tomorrow through professional development, networking, cultural awareness and knowledge sharing. To transform the strength and perseverance of the Native American community into ways that encourage growth and development within the workplace and to spread cultural awareness that will contribute to all affiliates of Discover. 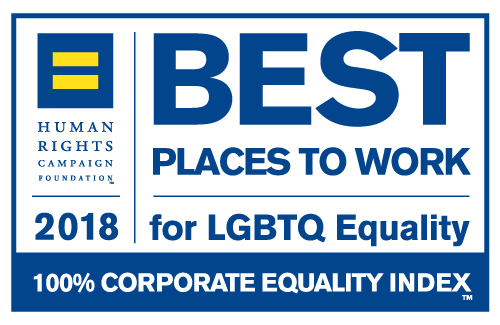 PRIDE’s mission is to unite the power and potential of lesbian, gay, bisexual, transgender and ally employees in their careers, and to contribute to Discover customers, employees, suppliers and communities. PWIR is committed to creating and supporting an environment that attracts, develops and values women across all levels of the organization by leveraging their unique talents and experiences. YPOD aims to provide career development opportunities to motivated young professionals and their advocates. They support and reinforce the core business objectives of Discover through volunteer work, and leveraging personal and professional insights to spark innovation. 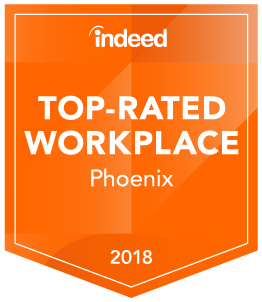 Discover has been recognized as a top place to work for its inclusivity and quality of workplace. 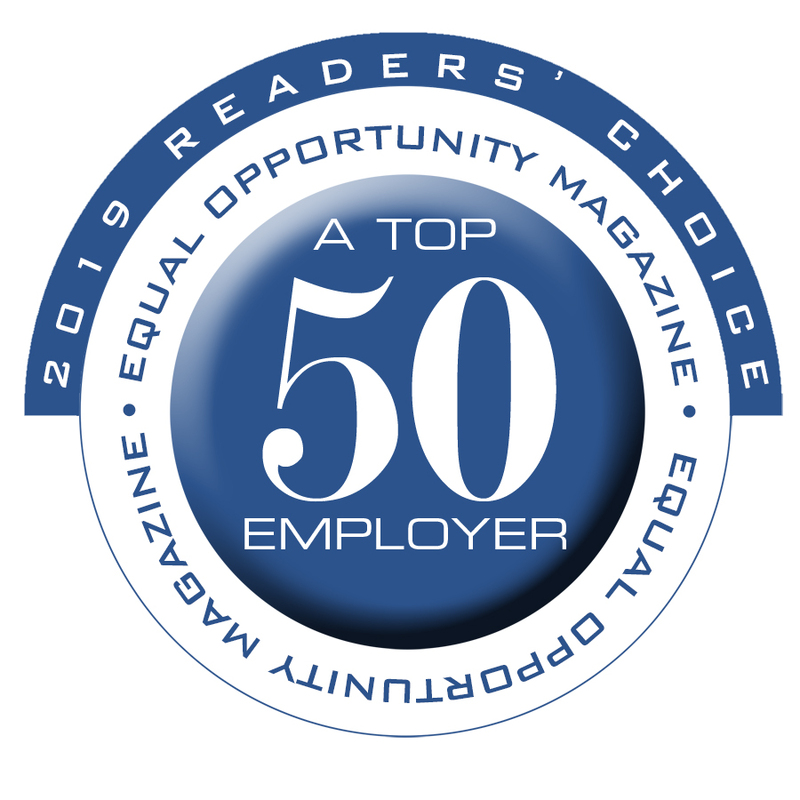 1Discover has been included in Equal Opportunity Magazine’s 2019 Top 50 Employers list. 2IDG’s Computerworld names Discover Financial Services to the 2018 List of 100 Best Places to Work in IT. 3IDG’s CIO names Discover a recipient of the 2018 CIO 100. 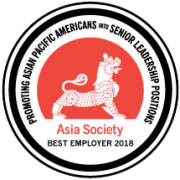 4Discover has been named a 2018 Best Employer for Promoting Asian Pacific Americans into Senior Leadership Positions by Asia Society. 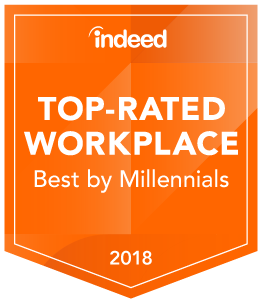 6Discover Financial Services was ranked second in Indeed’s 2018 list of Top-Rated Workplaces for millennials. 7Discover Financial Services has been named a Digital Edge 50 award winner for 2018. 8Discover has been scored amongst the highest in Vault’s 2018 Best Financial Internships. 9Discover has been included in Equal Opportunity Magazine’s 2018 Top 50 Employers list. 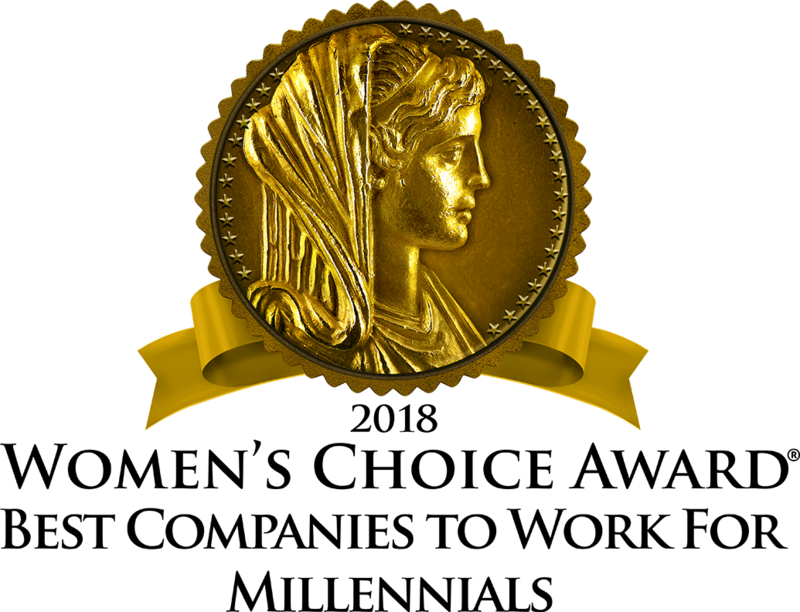 10Discover Financial Services has been named 2018 Best Company for Women to Work. * The Discover College Commitment: Only U.S. employees classified as a full-time or flex part-time employee (“Employee”) are eligible for this benefit for their first bachelor’s degree, which covers tuition and required supplies, books and fees after grants have been applied. Discover will pre-pay tuition directly to the university. Expenditures on qualified fees, books and supplies will be reimbursed. In addition, to be eligible, employee must be in active status, in good standing with the company, receive a “meets expectations” during the most recent performance rating and maintain a 2.0 grade point average or higher as described in Discover’s Post-secondary Education Support Policy. Employees must utilize the company process to apply for this benefit and complete all required company forms, university application(s) and a Free Application for Federal Aid (“FAFSA”). Employees terminated from the Company are required to refund to the Company all covered tuition, fees, and reimbursements received within 24 months prior to the Employee’s last day of employment. The leadership development curricula at Discover helps people leaders build the mindset, behaviors and skills needed to lead across the organization. In 2016, Discover launched three enterprise-wide leadership development programs to prepare leaders as they advance through their career. Emerge provides new managers with the core skills and knowledge to be successful in their new people-leader role. Empower enhances managers’ and senior managers’ leadership skills and equips them to motivate their teams to a higher performance. Inspire equips directors to execute our current and future strategic priorities through instruction and learning activities in a collaborative environment. Our professional development curriculum helps employees at all levels build key business skills, improve everyday performance and prepare for advancement. Discover offers paid internship opportunities for both undergraduate and graduate students to develop professional skills in a vibrant and collaborative environment.